I don't know what's up with me and Asian food lately. 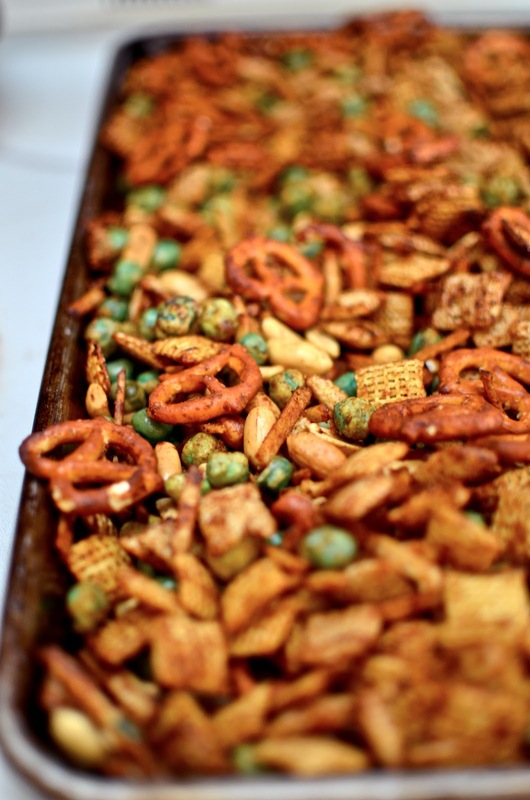 First it's a candy bento box, then it's sushi made with seafood salad, and now it's Thai Chex mix. Only the most authentic dishes will do. 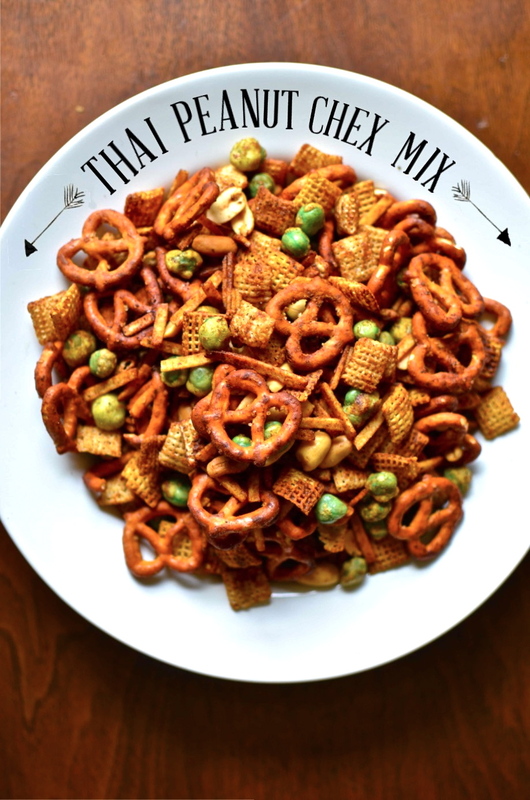 The inspiration for this Chex mix is this awesome Thai Peanut sauce that one of my real life gluten free friends introduced me to (HI SARAH). I'm sorry I disgraced it's glutenfreeness by adding pretzels, but you could add gluten free pretzels if you want. You'd also have to leave out the wasabi peas if you want it to be gluten free, unless you can find some gluten free ones. Wasabi peas are pretty much peas that are dried or something and coated with wasabi, so they're kind of spicy and horseradishy. Pretty awesome. I also added these shoestring potato sticks. I had never seen a shoestring potato stick before this adventure, but somehow they found their way into the grocery cart and ended up in the Chex mix. They have a mind of their own, I tell ya. Stay tuned for another fun Chex Mix I'm making for Tablespoon.com in a few weeks. It's gonna be awesome. Note: I made mine in the oven, but you could probably make it in the microwave if you want. Just throw it in there for about 5 minutes and stir it every minute or so. Let me know how it turns out if you do it that way! Preheat oven to 250ºF. In a large bowl, stir together the butter, peanut sauce, chili powder, garlic powder, onion powder, and salt. Toss the remaining ingredients to coat. Pour the mixture onto a large baking sheet. Bake for about 45-50 minutes, stirring every 15 minutes. Let it cool for about 15 minutes before sealing in an airtight container.